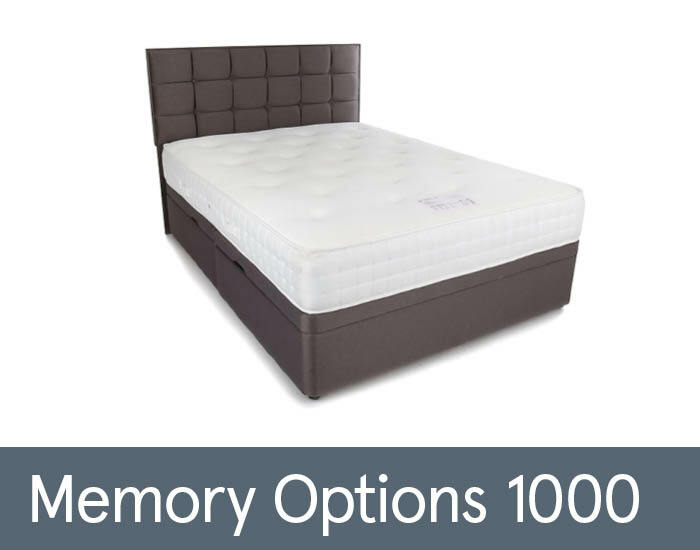 The Cousins Bespoke Memory 1000 is a traditional pocket system with a layer of memory foam available in 3 different tensions: soft, medium or firm; offering the correct support for your posture while you sleep. Manufactured in Lancashire for a speedy delivery to your bedroom. Available as a platform top divan set, mattress or ottoman set. Drawer options and complementing headboards are available.